Beyond the confines of this speech, Government has already been carrying out a number of studies on how to improve our trading performance with EU Member States – and well it might, as we still suffer a massive trade deficit with the EU-27. Central to its strategy is Retail Industry International Action Plan, where it notes that Britain's 228,000 online retailers export more than the rest of Europe's e-retailers put together and UK consumers spend more online per head than any other country. The European Union, it states, is one of our eight "priority regions", where "Germany is a key market for accessing high net worth individuals and the fashion capitals of Milan and Paris are a priority". Interestingly, according to commercial marketing company, the UK is the primary foreign destination for both Germany and Italy. The UK, Germany and France dominate the online market in Europe: they not only hold the largest online share of retail trade in their respective markets, but are also together responsible for 81.5 percent of European sales. With e-commerce taking 17 percent of the retail market in the UK, against Germany at 14 percent and a European average of 9 percent, the UK was well-positioned to take advantage of the growing volume of online sales, boasting numerous "big name" retailers of high repute, which are acquiring the status of global brands. Thus, the 2014 retail plan was augmented with another report called Beyond e-commerce to everywhere-commerce, which was the Government's plan for: "Accelerating UK retailers' digital presence to compete globally". Noting that the value of UK e-commerce was £10 billion in 2013 and expected to rise to £60 billion by 2018, it pledged to deliver £500m value to the UK economy through assisting up to 1,000 businesses with their international growth, adding to the £4.2 billion online retail sales in 2013 to international customers. Just as keen to see the success of e-commerce was the European Commission – which was already on the case, having argued in 2010 for encouraging e-commerce as part of its Europe 2020 strategy, Digital Agenda for Europe - bringing online trading into the purview of the Digital Single Market. In its report, however, it highlighted one of the major barriers to growth in the international (cross border) market as a lack of effective and trusted dispute resolution. Simply, consumers would not shop online if they did not feel their rights were clear and protected. The Commission, therefore, pledged to launch an EU-wide strategy to improve Alternative Dispute Resolution (ADR) systems and propose an EU-wide online redress tool for e-commerce. A proposal was not long in coming, arriving in November 2011 in the form of COM(2011) 794 final. After a lengthy explanatory preamble, this set out a regulation for "online dispute resolution (ODR) for consumer disputes". A somewhat lengthier working paper (175 pages) accompanied the communication. With the development of e-commerce, the communication said, the scope and size of markets in which businesses and consumers operate have grown significantly and extend beyond national borders. Consumers as well as traders, however, perceive it as risky to engage in cross-border e-commerce transactions because they fear that relevant disputes might not easily be resolved due to the virtual character of the transaction. The lack of effective redress for complaints resulting from cross-border online transactions has adverse consequences both for consumers and businesses. Consumers lose out by not being able to shop online across borders; they thus miss the opportunity of comparing the costs of products in the wider EU market and of buying them where they are less expensive. In addition to traditional dispute resolution through judicial means, consumers and businesses in some Member States can refer their claims to the so-called Alternative Dispute Resolution ("ADR") schemes. The term alternative dispute resolution covers non-judicial procedures, such as conciliation, mediation, arbitration, complaints board. 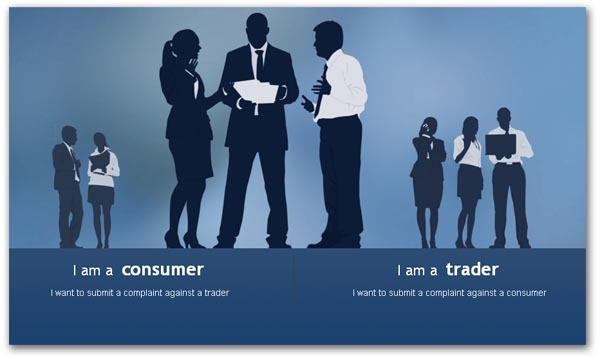 For the purposes of this Impact Assessment (IA), ADR refers to the resolution of disputes between consumers and traders (B2C) linked to the sale of goods and provision of services by traders. ADR schemes aim to settle disputes arising between parties through the intervention of an entity (e.g. conciliator, mediator, ombudsman, complaints board etc). ADR does not cover the resolution of disputes by internal complaint handling systems run by businesses. ADR schemes aimed at resolving disputes between consumers and traders via an online procedure are called Online Dispute Resolution schemes ("ODR") and could be an effective tool, particularly for solving disputes linked to online transactions. However, ODR is currently not sufficiently developed. The previous month had already seen a new amending law, Directive 2011/83/EU on consumer rights, and we had seen in the year 2000 a directive on electronic commerce. 21 May 2013 then saw Directive 2013/11/EU on alternative dispute resolution for consumer disputes, and Regulation (EU) No 524/2013 on online dispute resolution for consumer disputes. The pieces needed for dispute resolution were dropping into place. In typical style, the UK Government launched in March 2014 a consultation on how to implement the legislation, the outcome of which was The Alternative Dispute Resolution for Consumer Disputes (Competent Authorities and Information) Regulations 2015 and TEXTThe Alternative Dispute Resolution for Consumer Disputes (Amendment) Regulations 2015, tied together with a policy paper from the Department of Business, Innovation and Skills on 23 June 2015. together with a 24-page guidance booklet. If there is no other reason for leaving the EU, this in itself will suffice. Never should the brains of mere mortals be so abused as to have to deal with such stuff. As to what it was all about, it was this, the Commission's very own website (or, as it insisted on calling it, its "new platform") to help consumers and traders solve online disputes over a purchase made online. And this is what it looks like in all its glory (partly reproduced above). This was the meat in the sandwich, yet despite a budgeted expenditure just short of €4 million, it gained minimal publicity. Launched just as David Cameron was going to Brussels to announce his renegotiation package, the legacy media stayed away in its droves. Hardly ever could a launch have been less propitious. And despite all that, as 72-page Swedish report had already indicated, there was a long way to go before all the relevant barriers were removed. Nevertheless, the new platform presents the UK Government with a problem. It is one, but not the only, outward sign of the EU's Digital Single Market, the strategy for which was set out in May 2015. Because much of it has already been cast in the form of directives, we have transposed much of the acquis onto the UK statute book where it will remain post-Brexit, unless specific steps are taken to remove it. EU instruments, therefore, will continue to drive much of our consumer protection law. The online dispute resolution, however, is different. It relies on systems furnished and maintained by the Commission, accessible only to EU Member States and Efta members – who make a small contribution to the upkeep of the system. Ostensibly, when we leave the EU, we will drop out of this system but, if we do this, it will signal not only our departure from the Digital Single Market – which Mrs May is intent on doing – but also an intent to distance ourselves from it. Without at least making a gesture that we intend to maintain a degree of conformity with EU law, and uphold EU-driven consumer rights, with a degree of harmonisation, it is going to be very difficult for UK businesses to maintain, much less increase, their levels of online sales in the EU as it will become. Therefore, during the Article 50 negotiations and beyond, Mrs May and her negotiating team need to be thinking very carefully what messages they are sending to the "colleagues", and what measures they take to ensure that we are allowed at least some participatory rights in the Digital Single Market. Continued support of the Online Dispute Resolution platform would be a good start and, for the small sum it would cost, send a message that online Britain was still open for business. On this, though, and much else, we cannot afford to adopt Mrs May's "walk away" strategy. That would send a 404 message which could cost us dear. Expanding the digital market is part of our core economic strategy and to detach ourselves from the European component would be a monumental act of self harm.